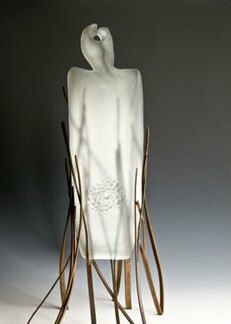 Lillian Pitt will be joining us for First Friday on May 2, 2014. A Native American artist from the Big River (Columbia River) region of the Pacific Northwest, Pitt was born on the Warm Springs Reservation in Oregon. She is a descendent of Wasco, Yakama, and Warm Springs people. 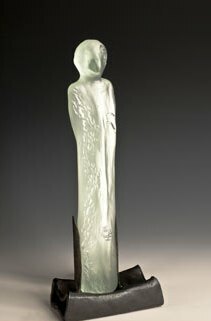 Be sure to join us on First Friday and meet this unique artist and learn more about her work and technique. We love pretty much everything about Troutdale. It has all you could want; beautiful scenery, great restaurants and shops, and just enough of that old-time feel to entice you to sit and take it in. 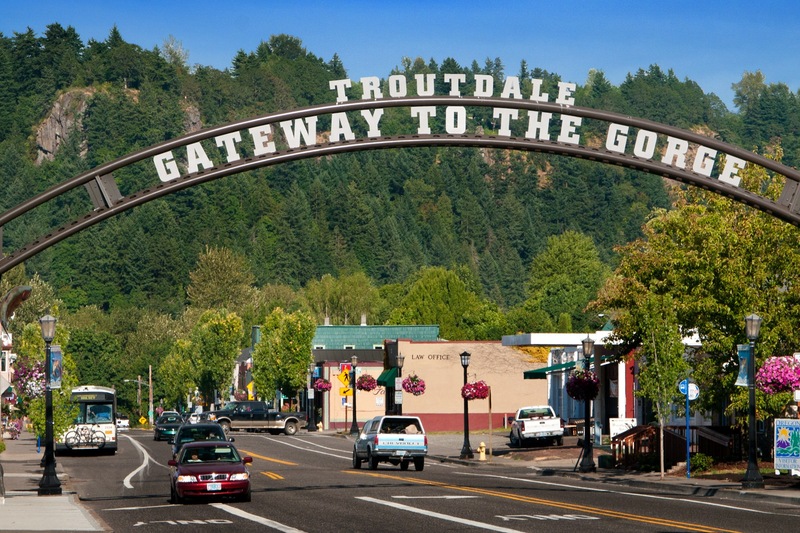 Considered the “Gateway to the Gorge”, Troutdale has a rich history, so we thought it would be interesting to share a little. The early settlers came in 1850. and although David Buxton is noted as Troutdale’s founder, a Maine sea-captain, John Harlow actually gets the credit for planning the town and putting it on the map. 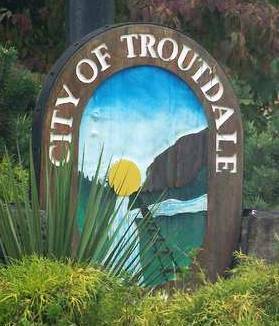 Harlow raised trout on his farm, which he called “Troutdale”, hence the name of the city. He was also responsible for convincing the railroad to build a depot at the site of his farm so he could ship his produce. Harlow died in 1883, but his widow took on the task of plotting the streets and the city itself came to be. John Harlow’s original house was torn down in the 1920’s and the only remaining structure was the home of his son, built in 1900 on the original site. That building is now the Harlow House Museum. Aaron Fox, who was Troutdale’s first Mayor, was instrumental in incorporating the City in 1907. Because Troutdale had become a saloon town it was felt incorporation was necessary to maintain some control. It was also in 1907 that a fire burned most of the buildings, including the original rail depot. The depot was later replaced by a second and is now the current Rail Museum. It was moved from its original location to its present site in 1979. In 1914, two years after women got to vote in Oregon, Clara Latourell Larsson become Mayor of Troutdale, becoming one of Oregon’s earliest female mayors. The Columbia River Highway was built and ran through Troutdale in 1916. Enterprising residents opened businesses and restaurants for travelers, but in 1925, a second fire mostly destroyed the district. This fire is believed to have resulted from an explosion of a still in the garage of John Larsson, the former mayor’s husband. The Tiller Hotel and Helming’s Saloon, both built after the first 1907 fire, are two of the pre-1925 buildings left today. Many industries punctuated Troutdale over the years, including the American Dressed Meat Company, a lumber mill, hotel and distillery. In the 1920’s, Troutdale became famous as the “Celery Capital of the World” due to the prize-winning celery grown here. Other produce was equally as prolific, along with a gladioli bulb industry. For a time in the 1940s there was an aluminum plant, but the emissions resulted in the demise of the gladioli industry and was very detrimental to agriculture as well. After the completion of Interstate 84 in the ‘50s traffic was diverted away from Troutdale and the city remained fairly quiet until it was rediscovered in the 60s thanks to the efforts of Mayor Glenn Otto, who later became a state senator. If you would like to learn more about the history of Troutdale, be sure to visit one of the museums. Among the exhibits visitors will find photographs, antique farming tools and other remnants of the city’s heritage. For more information visit the Troutdale Historical Society. To learn more about Troutdale’s history go to www.ci.troutdale.or.us/history. Today we still enjoy the benefits of what Troutdale’s founders put into motion. 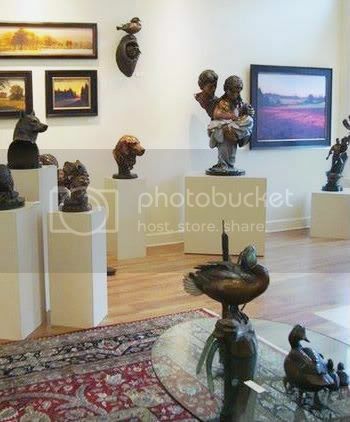 On the way to Multnomah Falls, via the Old Columbia River Highway, Troutdale hosts many annual events throughout the year, monthly First Fridays, and is a great stop for breakfast, lunch or dinner, or to shop antiques and beautiful regional art. If you’d like to experience the saloon tradition, we can offer a martini bar, brewhouse and wine tasting. Need a spa day, we have that, too. We are a quick 15 minute drive from downtown Portland, so plan on spending some time with us—you’ll be glad you did!